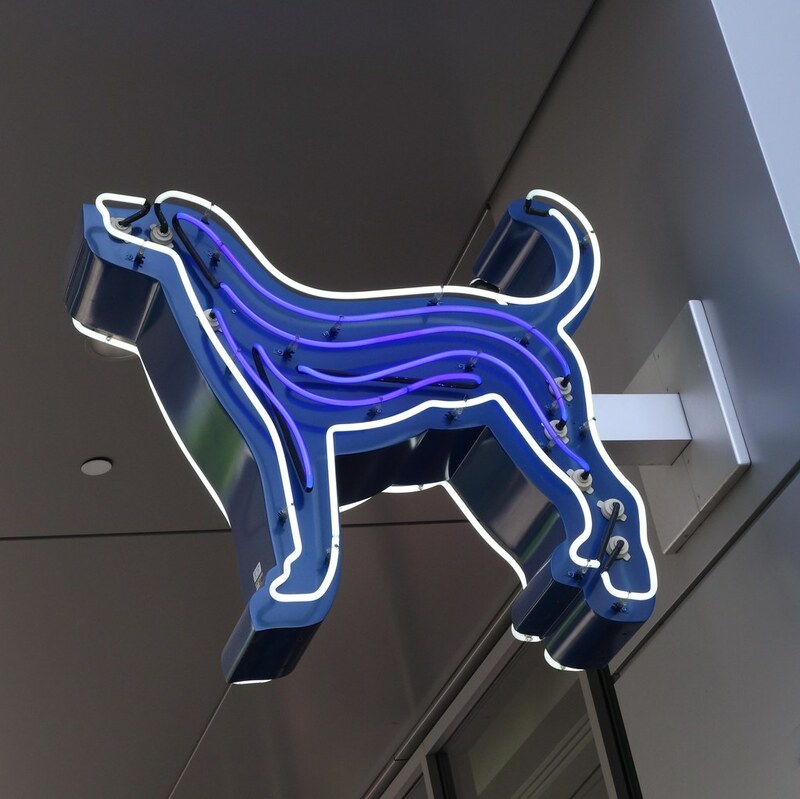 The statement holds true even if you’re just a neon sign in the shape of a hound. Spotted in downtown Phoenix, Arizona. [ Smiles ] I love the picture of that sign!